Hey guys, here’s my best guess at the roster, & I think it makes sense. Let me know what you think. First name in row is my first guess at the roster slot. The subsequent characters would be the follow up guess for that roster spot. These are characters that I do not see being on the final roster TOGETHER. I suppose it makes sense but isnt it perhaps a little safe......no new Kharacters or surprises? 3 new characters. Some returning MKX newbies. Very safe, yes.. but I think there are too many mainstays that are waiting for their turn since mk9... hell it was tough not putting sektor on this list. I think it's best to just sit back and watch things unfold rather than set any sort of expectations for an MK game these days. I would say that seems like a reasonable prediction, but again with NRS it's best not to set expectations because they usually fall short of most of them. Good call not putting Cyrax or Sektor on there. I think those characters are pretty much done. NRS has shown how little regard they have for them with Triborg. I don't think we'll see an independent Sektor or Cyrax ever again. Thats not a fan favorite roster. No Fujin, Noob, Mileena, Shang tsung in the initial roster is a bit of a letdown.. and im not even talking about Sareena, Kitana etc. I’m not sure what you mean, all those characters are listed besides Sareena. Unfortunately, I agree with you on cyrax and sektor . I think NRS is shying away from them. Thank you for sharing your prediction. It has more merits and makes more sense than all the alleged fake rosters that we have been given. 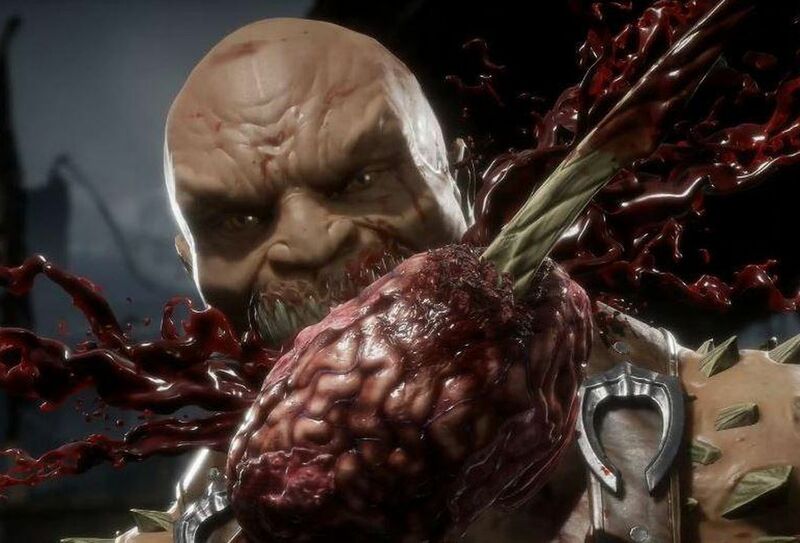 Personally, I'd drop all the MKX new comers except Cassie ( since she is revealed anyway) and replace them with classics like Nightwolf, Sindel and ensure Mileena's presence. Also doesn't Skarlet have some D'Vorah's vibe ? You know what, now that you mention it she does kind of have a D’Vorah vibe. D’Vorah played similarly... kind of a mid hybrid zoner. The aesthetic is completely different. But I could see D’Vorah having a move where bugs lift the opponent up and hold them for a free hit similar to skarlets blood tentacles. I just think D’Vorah was one of the more popular new characters out of mkx because she was so unique. I like that list, especially if we get Fujin instead of Kenshi. Dude’s been in every MK game since Deadly Alliance (not including MKvsDC). Noob, Jade, Smoke, Shang Tsung and Fujin would be a great 16 through 20. I could see Rain being there instead of Smoke since Rain’s already been DLC before, so if he’s not main roster, he’s not in and that would kinda surprise me. I’d prefer Smoke, but that’s just me. Takeda, Jax/Jaqui, Kotal Khan and D’vorah seems like an interesting group. I like Takeda and hope he returns. I think we’re getting a max of two Kombat Kids returning and Takeda and Cassie were easily the most popular. 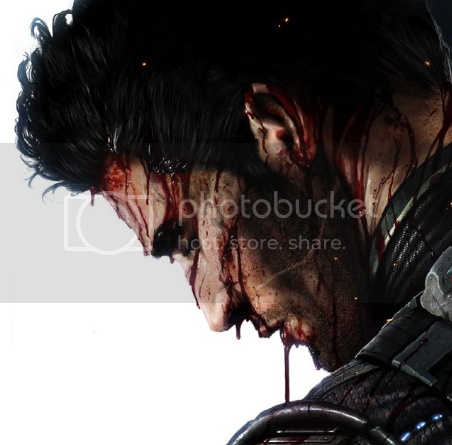 I also wouldn’t want to lose him so someone like Nightwolf or Sindel makes the cut, but that’s just my own preference. I’m not too big on MK3 newbies not named Kabal. Kotal Khan should absolutely be in the game as well. He has a great look, some interesting moves, and tons of story potential, especially if Raiden invades Outworld. Plus I really want to see a Kotal Khan / Shao Khan showdown. After that, I could maybe see Erron Black making the cut due to fan demand, but o could definitely see him as DLC too. D’vorah is kind of in a strange place right now. If Quan Chi and Shinnok aren’t in the game (which is by no means a guarantee), what is there really for her to do? She could possibly have something to do with reviving Noob perhaps, but I kinda tend to think the time bending is going to take care of that. I like her as a character a lot and hope she’s DLC, but for the main roster, especially as it pertains to Noob, I’d rather they put Sareena in. Lastly, Jax/Jaqui. It’s a good prediction due to that rumored leak but man I hope Jax sits out. Guy’s been in 2, 3, 4, 5, 7, 8, 9, and X. He’s missed Deception. That’s it. Just give him one game off so I can miss him and actually care if he’s in the game again. As for Jaqui, I like her as a character in the story. She’s far less annoying than the other three kids and I liked her budding friendship / romance with Takeda. But they’ll really need to revamp her gameplay because it’s pretty dull and lacks any real personality to it. If they don’t do that, I think fans could really end up hating her by the time MK11’s over and then she’s really likely to end up on the scrap heap with the rest of the characters NRS avoids like the plague and I don’t want that happening to her. So while Jax or Jaqui could easily be the right pick, I’m kinda hoping they go a different route. Great list otherwise! I really hope Jax and Jacqui sit out this game. Jade, Noob Saibot, Rain, Shang Tsung and Kabal are the ones I'm really looking forward too. Also Erron Black and D'vorah are two characters I really want back to see how they changed. Everyone agreeing about Cyrax and Sektor makes me sad. I don't think triborg was a type of disregard for our robo friends. I think Triborg was a reasonable way to incorporate 3 fan favourites (and a bonus cyber sub) through DLC. I am okay if we never see them as seperate characters again. It makes some sense with the variation system. However, I would be really sad if we never saw either of them again. I would not like them to be Triborg again, I love Sektor, I hate Cyber Smoke and Cyber Sub-Zero... Cyrax is cool too, but not mixed with the much more awesome Sektor. The only time I ever want to see Triborg again is if they make a third game with a complete roster, and he's there for completion's sake. Right next to Chameleon & Khameleon. And in a game that doesn't have variations, I imagine he'd have to be changed to function similarly to them. Good post, and good call on Erron Black.. I don’t know how I over looked him. He has a good shot at making the roster, for sure. These lists are getting stupid. I'm all about speculation and stuff but this is going non-stop. That is 24 right there out of 26. Since Kronika is not playable, its anybody's guess who the last two are. Literally could be anybody. Well, almost anybody. Sorry, Hsu Hao. I'm not buying Rain at 95% at all. 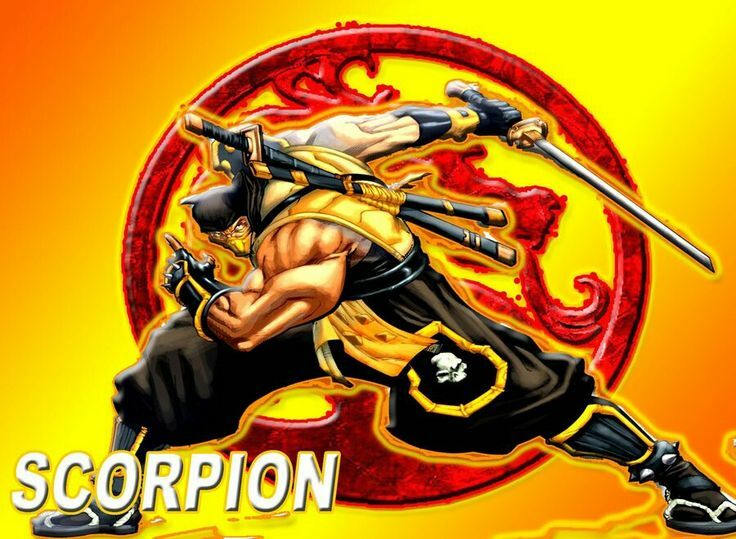 I'm still not even convinced the guy in that menu pic IS Rain... Sub-Zero & Scorpion both have alt costumes in MK11 with their hair up and exposed like this (and one of Sub-Zero's is clearly patterned after Rain's color scheme to boot). It could easily be either of them in said alt costumes. I'm not saying it doesn't resemble Rain... but I think Rain fans are counting this chicken WAAAAAY before it hatches. And as I've said in other threads, I frankly think Reptile, Rain, Shinnok & Cyrax's moves being tower modifiers is a strike against all of them. It baffles me to keep seeing people who think he's a lock. Also I don't think that grey ninja from the menu is Smoke. It's far too non-descript. Just looks like the same kind of generic grey ninja they used to fill out the background shots in MK9. I agree with much of what Kenshimaster has said for the roster and on the whole it’s not too bad of a roster. I am not really sure on Rain though and I have a real bad feeling that smoke won’t be in despite the fact that he should be and would be awesome. I am really hoping against hope that Jaxx isn’t in this game but I think he will be, I mean we got Kano again after all so why shouldn’t he be back too! One thing I was thinking with Kabal though that might upset some people is that he might be DLC, they have to start teasing/revealing the first Kombat Pack characters soon to help secure some more preorders of the premium packs and he would be a good seller. I could be entirely wrong in this but it’s just a thought I had. Rain - Way too much backlash after being not playable in X and then not DLC. Combine that with that fact Ed may want to pay tribute to Prince by having him included after his death, that could be reasoning enough. There's also the fact the costume is so similar to his appearance in X with some minor differences. It looks like an upgrade of that look, similar to how Kano's face piece looks upgraded from the X model in that artwork with Cassie. Smoke - It does indeed look like a generic ninja model but then I saw how basic Kano looks in his render and it could very well be that Smoke has a very basic look that will be heavily modified. That could be (and it pains me to say this because I'm not fully sold on gear) his "pre-gear" look. But again, that's why I put a ?? next to it because if it's not him, I think he's missing the bus. But since Noob is likely in, my bet is Smoke is too. Thanks Kenshimaster, I also I agree agree that smoke and noob are going to be in... to replace reptile and ermac. If MKX is anything to go off then 4 “ninjas” definitely seems like their limit which is frsutrating as these characters are hardly even ninjas anymore I mean did you see reptile and Ermac in the last couple of games???? And even rain has digressed so much from just a purple ninja now. i know they originated as palette swapped ninjas but now all 7 of them are so far progressed from that era in both story, appearance and move sets that they can hardly be called ninjas anymore. I'm a big Rain fan, so I'm biased, and yet I'm trying to have some reasoning. So if I take your first argument, you basically have Scorpion and Sub-Zero fighting on one picture, and on the one next to them you have Scorpion or Sub Zero AGAIN cosplaying Rain. So for you it makes more sense than having the actuall Rain ?While it looks 100% like Rain ? Lets say it's not Scorpion or Sub-Zero, they created a whole new character, the exact copy of Rain, instead of adding the character fans are asking ? Does it makes more sense for you ? This IS Rain: purple and gold cloth, the purple back of the mask, oriental design (like he now has on the modern MK), the pony tail, the overall purple tone of the picture. You can argue that him showing on the menu does not prove he is playable, but not that this is not Rain. So now, how much of an evidence is that that Rain is playable ? First of, he has a new outfit. They would not have bothered if he was only modifier. That means he is at the very least story NPC. But would they really make him NPC twice in a row ? After the whole backlash it made in MKX ? I'm not saying that backlash was deserved, but NRS definitly aknowledged it, and I doubt they'll do it again, not with him. Would Rain be the ONLY non playable character in the game shown on those menu pictures, while all the others are playable, just to piss of Rain's fans twice in a row, like: "hey look, he's NPC again so we decided he would be the only one not playable on the main icon of the game menu". Rain is illustrated as someone you can pick to play the tower. If he was shown as modifier, assist, boss or NPC, he would be on that tower, in the background, like someone you have to reach and defeat, or watching from a distance, stuff like that. From an iconographic stand point, it makes sense. The game is 3 monts away from release, it is final, if Rain was scrapped, they would have had all the time to change that picture. 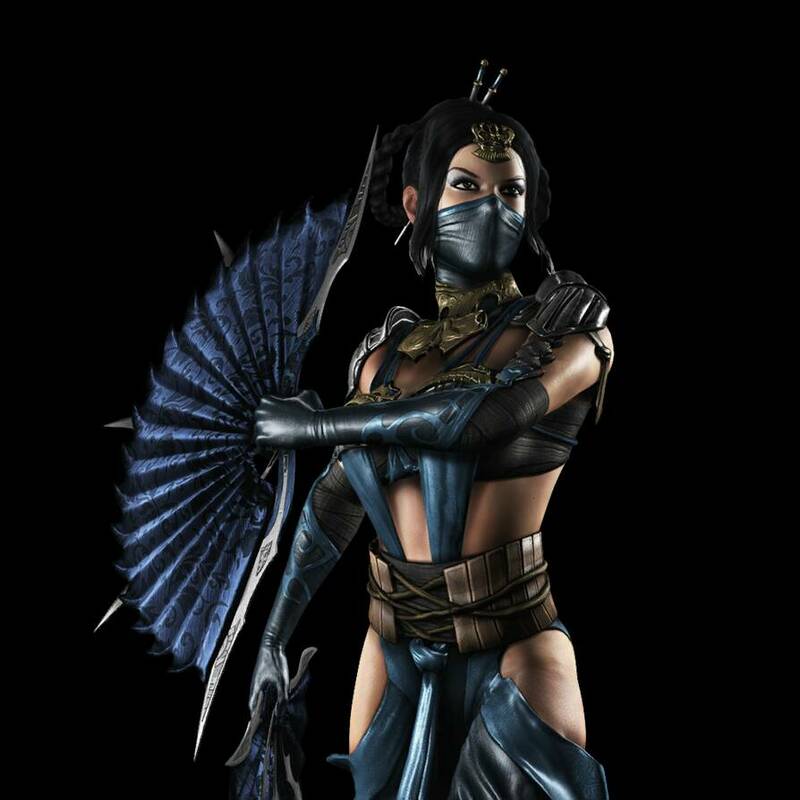 So the klassic modifiers are indeed bugging me, so are the Sub-Zero Rain's cosplay. But I think Rain sitting on that menu, weights a lot more than anything else that could be thrown against him. One theory is that Rain's got a complete revamp of his gameplay, just like Skarlet. He may not have his classic moves anymore, including the bubble and the lightning strike. So why not breaking the rules, and recycle this modifier alwready done from MKX ? And if you really want to have a meaning to it, remember there is the whole time travel thing, so that Rain modifier is just a Rain from the past, with an old moveset from the past, and who cares honestly. I also think they don't want too many ninjas in the game. We will probably have 4 base ninjas: Rain and Noob might replace Reptile and Ermac, and the 5th ninja: Smoke, could be DLC like Tremor was, replacing him in the same process.